Hours: Office Hours 8:00 AM - 4:30 PM. Planning Consultation Hours Monday - Friday 8:30 AM - 11:30 AM. 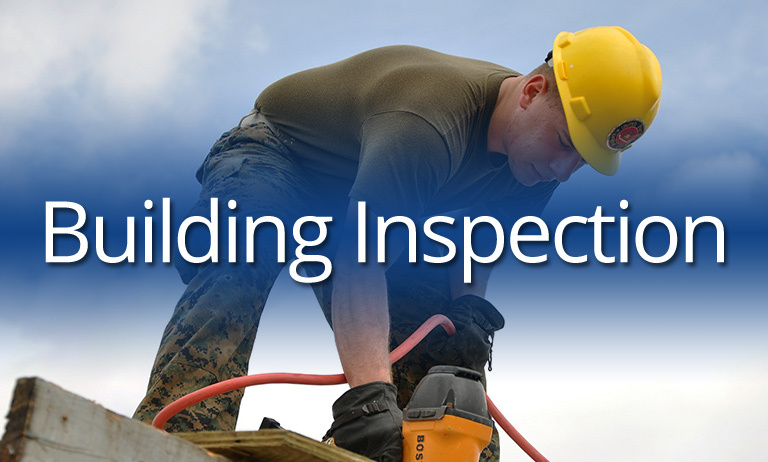 The Department of Community Development is comprised of two divisions - Planning and Building Safety - and manages the Housing and Community Development Block Grant (CDBG) program as well as the Municipal Code Compliance Program. 2. Is a permit required to install or replace a fence on my property? Yes, a fence permit is required for installation or replacement of a fence. A permit is not required simply to repair an existing fence. Site plan of the property that includes property lines, abutting streets with names, north arrow, and the proposed fence locations and heights. Drawing of the fence elevation. 3. Can I remove a tree on my property? Removal of a tree that is 18-inches DBH or greater and located on vacant property in the single-family residential zones (R-1, RR, WR and NM zones). Removal of a tree that is greater than six-inches DBH and located in the multi-family, commercial and employment zones (R-1-3.5, R-2, R-3, C-1, E-1, M-1, CM or HC). Removal of a tree located on steep slopes (25% and greater) or in an area surrounding creeks and wetlands. Removal of a tree that is identified to be preserved and protected in a previous planning application decision, such as part of the creation of a subdivision or constructing an accessory residential unit. Removal of a tree located in the public street right-of-way (see Street Tree Removal Permit handout). The topping of a tree. For more information criteria regarding tree removal permits and applications see the full version of the Tree Removal FAQ. For details regarding your specific property and the applicable requirements, we recommend that you speak with the City of Ashland Planning Division. A planner is available for questions on Monday � Friday from 8:30 a.m. to 12:30 p.m. Community Development and Engineering Building located at 51 Winburn Way, across from Lithia Park. The Planning Division can also be reached at (541) 488-5305 or planning@ashland.or.us. The Flood Insurance Rate Maps (FIRMs) show the areas that would be inundated by a 100 year flood, which has a one percent chance of occurring in any given year. These ditigal maps depict potential flood hazards, and are used by federally-regulated lending institutions and insurance agents in determining who must purchase flood insurance and the cost of that insurance, should it be necessary. In addition, the maps will be used by City, County, and State officials for floodplain management and permitting purposes. The City of Ashland has its own adopted floodplain for Ashland Creek, Clay Creek and Bear Creek, contact the Planning Division at (541)488-5305 for more information on those floodplains. 5. How can I find out about proposed development in my neighborhood? To view a list of proposed development proposals, please CLICK HERE. 6. What uses are allowed in my zoning district? 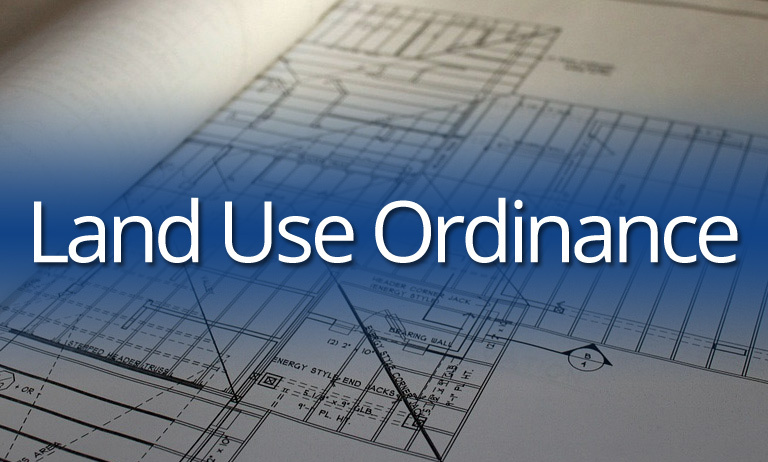 Chapter 18 of the Ashland Municipal Code outlines the permitted and conditional uses for each zoning district. Click on the link below to be directed to Chapter 18 of the Municipal Code, Section 18.2.2.030 to view the allowed uses by zone. 7. Are chickens allowed in the City of Ashland? The number or chickens kept on any property is limited by the lot size. No more than five (5) chickens are allowed on properties of less than 5,000 square feet in area. For properties larger than 5,000 square feet in area, one chicken for each 1,000 square feet of lot area is allowed (up to a maximum of 20 chickens). Roosters are not allowed within the City, and chickens (hens) cannot be closer than 20 feet to a neighboring dwelling and shall be kept at least 10 feet from any adjoining property. The environment where chickens are kept must be kept odor and debris free; they cannot run loose; and the chickens cannot cause a noise disturbance to neighboring properties. 8. Can I operate a Traveler's Accommodation in a residential area? Operating a vacation rental or traveler�s accommodation, from a private residence such as renting a house, a cottage, or a room in a home on a short-term basis (less than 30-days), in the City of Ashland requires a Conditional Use Permit (CUP). Short-term accommodations are prohibited in the Single Family Zones (R-1) however they are permitted in the two multi-family residential zones (R-2 and R-3) with a CUP. A CUP is a land use application processed through the Community Development Department and that requires public noticed to surrounding properties. General requirements for establishing a Traveler's Accommodation include: the business owner of the accommodation must reside on the property; the primary residence on the site must be 20 years old; parking for the accommodation units shall be provided and the property must be located within 200 feet of an arterial or collector street. Arterial and Collectors are the major streets in town such as Siskiyou, North and East Main, Wimer, Iowa, Wightman, Ashland, Mountain, Beach Street and Morton. Additionally, Traveler�s Accommodations must meet all applicable building, fire and related safety codes at all times and must be inspected by the fire department before occupancy. The business-owner must maintain a city business license and pay all transient occupancy tax. Lastly, advertising for any traveler�s accommodation must include the City of Ashland Planning Action number assigned to the land use approval and offering the availability of residential property for use as a traveler�s accommodation without a valid Conditional Use Permit approval, current business license, and Transient Occupancy Tax registration is prohibited. Residents interested in operating short-term accommodations should contact the City of Ashland Planning Division at 541-488-5305. 9. How do I open a medical marijuana dispensary? Medical marijuana dispensaries are permitted within the City of Ashland when certain conditions are met. In addition to the state laws regarding dispensaries, Ashland has developed municipal code requirements which can be found at the links below. There are a number of steps required prior to operation of a dispensary. Below is a list of recommended steps to begin the process of operating a dispensary. 1) Determine appropriate location: Dispensaries are considered by the Land Use Ordinance a special permitted use in Commercial (C-1) and Employment (E-1) zones along the main arterial streets. The arterial streets are North Main, Siskiyou Blvd., Ashland Street / Hwy. 66 and Lithia Way. When the site is more than 100-feet from the arterial street but within the appropriate zone a conditional use permit is necessary. The map below shows the areas that are within 1,000 feet of a school where dispensaries are prohibited, the areas where dispensaries are a special permitted use and where a conditional use permit would be required. Please contact the Community Development offices at 541-488-5305 to find out more about your proposed dispensary location. 2) Obtain State of Oregon licenses. Click here to see the state regulations on medical marijuana. 3) Obtain a City of Ashland business license. The application is available here or from customer service at City Hall which is located at 20 E. Main Street or by phone at 541-488-6004. 4) Obtain a City of Ashland medical marijuana dispensary license. Ashland Municipal Code 6.50 lists the requirements for the operation of a medical marijuana dispensary. The municipal code can be reviewed here. The application form for the medical marijuana dispensary is available here or from customer service at City Hall which is located at 20 E. Main Street or by phone at 541-488-6004. Note on provisional licenses: The City cannot issue a final medical marijuana dispensary license until the Oregon Health Authority has issued a final State of Oregon Certificate of Registration for the applicant and the site. Upon receipt of notice of approval from the City of Ashland Community Development office and receipt of an applicant provided State of Oregon provisional medical marijuana dispensary license issued to applicant, the City of Ashland will issue a city provisional permit. The provisional permit acknowledges that the applicant has provided to the City a copy of the State provisional medical marijuana dispensary license and that all requirements of Ashland Municipal Code 6.50 have been met, except that the final State certificate of registration has not been issued. The provisional City permit does not authorize operation of a dispensary. When an applicant submits a copy of its final State of Oregon certificate of registration for operation of a dispensary, the City will issue a final City permit authorizing such operation in accord with City requirements. If the State provisional license lapses without issuance of a final State certificate of registration, the provisional permit will become void. 10. What is an accessory residential unit, and what are the requirements? An accessory residential unit (ARU) is a secondary dwelling unit on a lot, either attached to the single-family dwelling or in a detached building located on the same lot with a single-family dwelling, and having an independent means of entry. The size of the ARU cannot be greater than 50% of the primary residence, and the ARU can�t exceed 1,000 square feet. 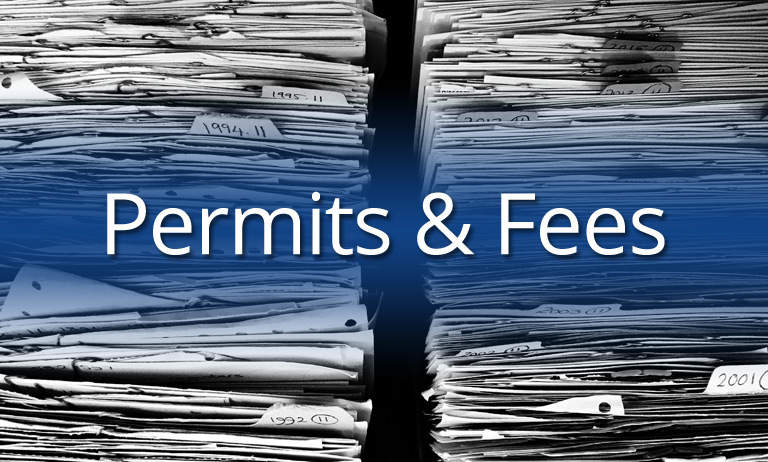 For more information regarding application fees, permits, and zoning requirements for ARUs, refer to section 18.2.3.040 of the Land Use Municipal Code ​http://www.ashland.or.us/code.asp. 11. How do I find information on a specific property? Individual property information is kept on file with Jackson County and can be viewed online using Jackson County Property Data Online (PDO). 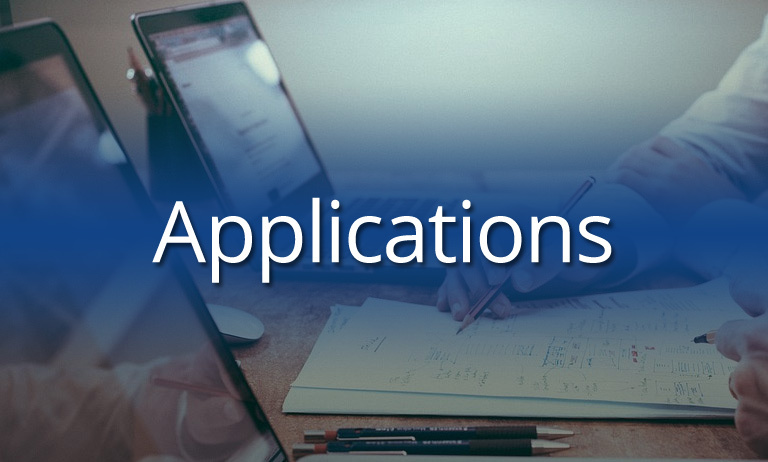 Commonly requested information that is available through this application includes: property owner information, lot size, the year the structure was built, square footage, sales history, improvements, photos, and assessors maps. 1) Select the blue "Search" tab located towards the top-right of the screen. There are a number of ways to search for a property; however the most common are by "Map & Taxlot" or by "Address". 3) Select the current year (Box #2). 4) Enter the Map and Taxlot number or House Number and Street in Box #3. 5) After entering the search information, select the "Submit" icon (Box #4). The basic property information will appear on the screen. To view more detailed information, select the "Click to View Assessment & Planning Details for this account" link. From there, you will be able to view: Account Details, Sales, Deed Card, Overlay Report, Permit Details, and Tax Reports be clicking on the corresponding icons. Note: Most of the frequently requested property information can be viewed on the "Account Details" page. DISCLAIMER: The City of Ashland is not responsible for the accuracy of the information obtained from the County's Property Data Online application. Please note that City permit information is not available on the County's program, and zoning information provided by the County can be incorrect. To confirm the property zoning , CLICK HERE to be directed to the City of Ashland Zoning Map. To confirm other details, please contact the Community Development Department at (541) 488-5305. 12. Can I install a deer fence around my property? Yes. "Deer Fencing" specifically designed for the purpose of protecting vegetation and gardens from foraging deer can be installed up to a height of 8 feet provided a clear view through the deer fencing is maintained. Fencing materials such as polypropylene netting, taut wires, and woven wire mesh (excluding chain-link) allow this clear view and are adequate to keep deer out. Like all fences, constructing a deer fence requires that a permit be first obtained from the City. The required standards for deer fencing are provided in 18.4.4.060.B.6 [Deer Fencing] of the Ashland Land Use Ordinance. 13. How many marijuana plants can I grow on my property? The amount of marijuana plants that can be grown on a property is dependent on if the growing is for medical or recreational use. For medical marijuana, the maximum number of plants allowed per lot is 6. For recreational marijuana, the maximum number of plants allowed per lot is 4. 14. What is solar access? What are solar setbacks? Solar access is one�s right to a certain amount of sunlight to fall upon their dwelling or property. Solar setbacks are the minimum distance that a structure, or any part thereof, can be located from a property boundary. For detailed information on solar access, solar setbacks, lot classifications, and permits, please refer to section 18.4.8 of the Land Use Municipal Code http://www.ashland.or.us/code.asp.